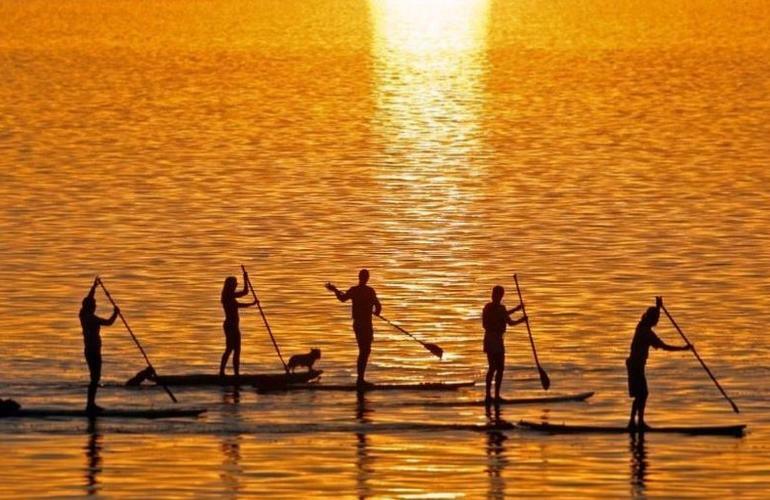 Stand up paddling (SUP) has become a very popular alternative to surfing. 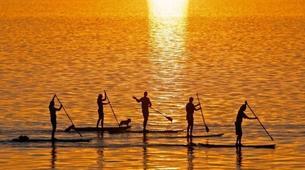 Not only is it easier to learn, but it allows you to catch very small waves, or paddle along the beaches on calm days. 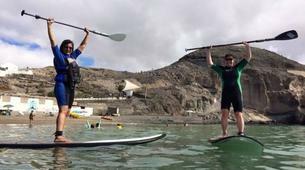 Explore the coasts of Gran Canaria from the water, and learn from your skilled surfing instructors in a fun and convivial atmosphere. 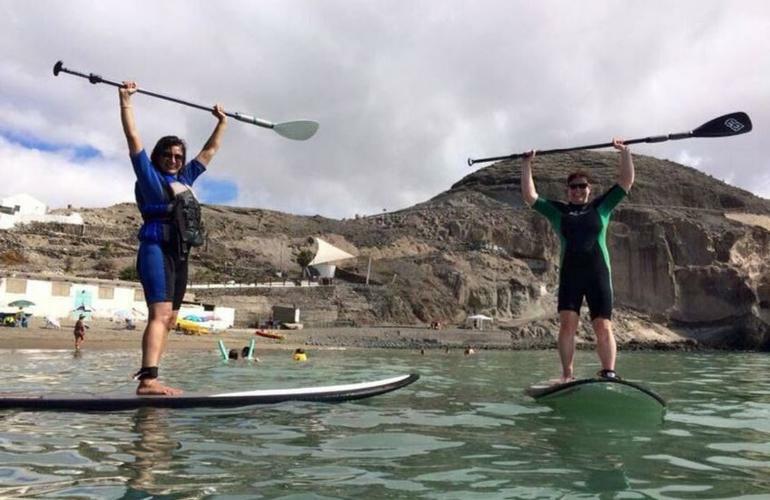 Because it is easier to learn and allows you to catch even the very small waves, stand-up paddle surfing is the perfect beginner's sport. 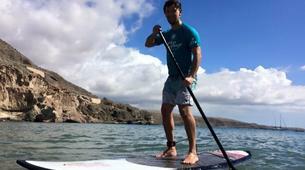 In addition, Gran Canaria offers the ideal surfing conditions with consistent winds and temperate waters. 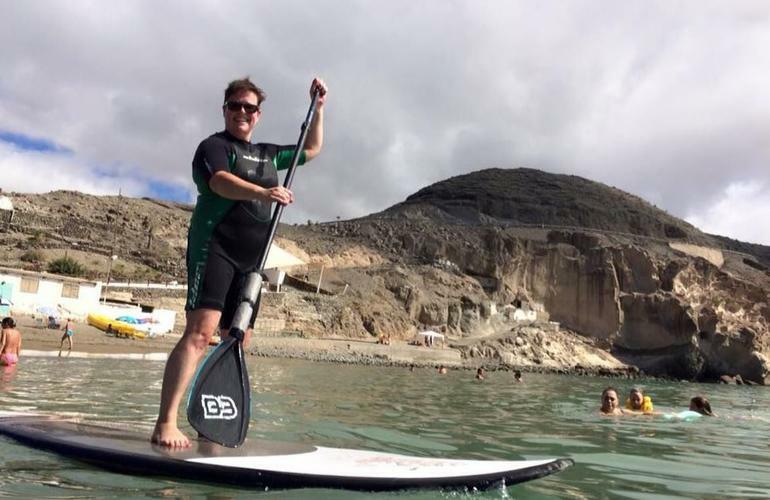 So take the day to explore the stunning region of Gran Canaria from a multitude of views aboard your SUP board. 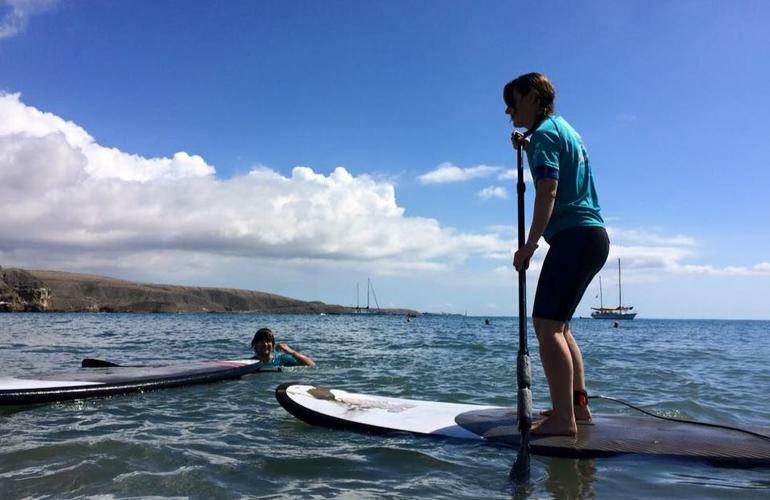 Your knowledgeable and highly skilled instructor will give you an introductory lesson and assist you with anything you might need for the duration of the outing. 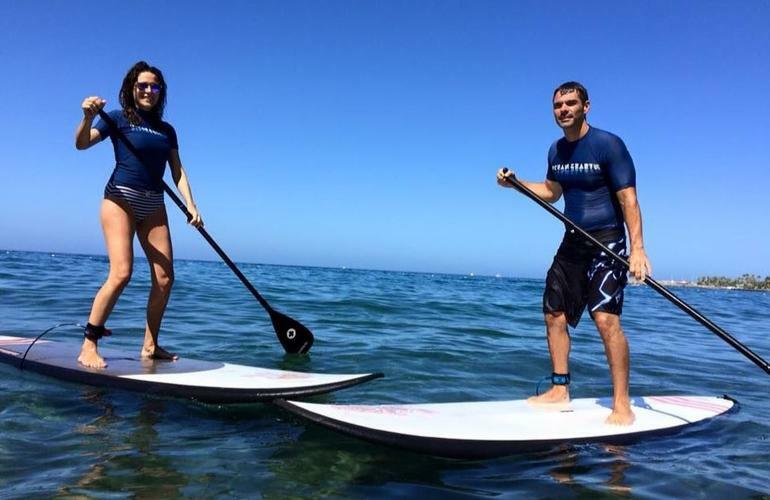 The instructors are also all certified surfing instructor and hold life-guarding licenses to ensure your safety throughout the excursion. 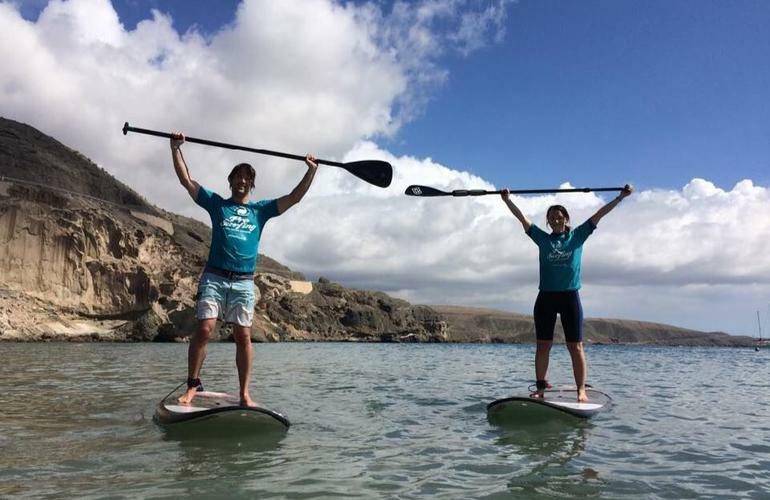 So come and practice your paddle skills by weaving around the south and west coasts of gorgeous Gran Canaria. 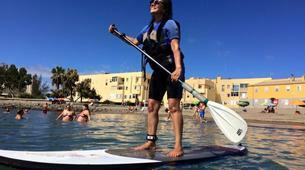 Experience one of the most ancient kinds of surfing and visit the coastline from a few different points of view. 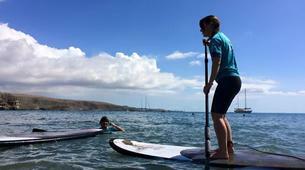 - You'll be picked up at your accommodation and taken to the surf school. 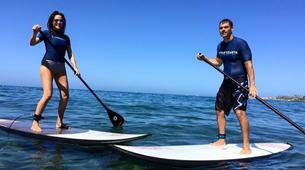 - Once onsite you'll be provided with the necessary equipment along with a short explanation of the activity. 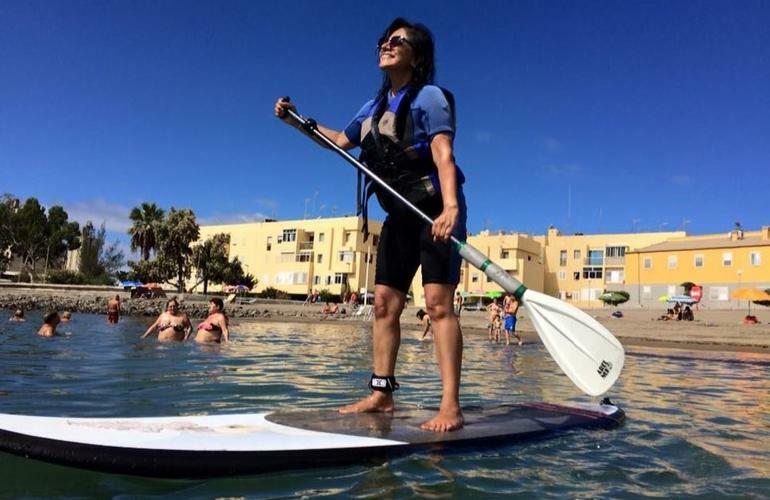 - Then you'll make your way to the beach with the best weather conditions on the day, depending on the waves and water conditions (Pasito Blanco / El Pajar / Mogán, among others). 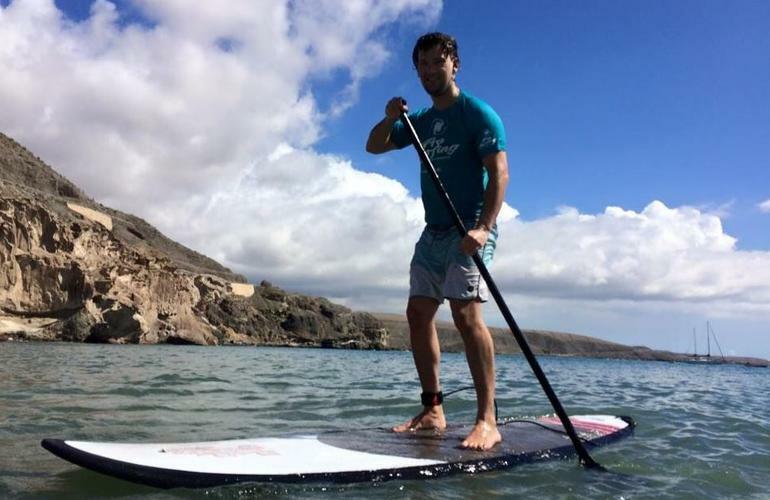 - You'll have a basic theory lesson on surfing and the correct techniques followed by practice in the sea (2,5 hours), with a short break in the middle to eat a snack and drink some water. 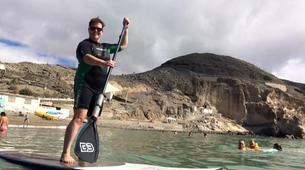 - Then you'll be able to go snorkelling at the same spot. - After the lesson you'll be dropped back off at your accommodation. You will be picked up from your accommodation if you're staying in San Agustin, Playa del Ingles, Maspalomas, Bahía Feliz and Meloneras. You will have a 2.5 hour lesson every day for 3 days. You will have a 2.5 hour lesson every day for 5 days. It was great fun. Our guide had snorkeling gear with him which was really nice and added an extra plus to the excursion.